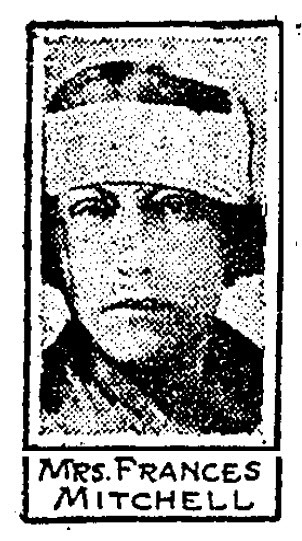 In 1921, Frances Mitchell moved with her young son, Newton, from Seattle to Southern California, settling into a small house on Emden Street in Wilmington. Shortly after arriving, Mitchell met James H. Williams, a marine engineer, who moved in with Mitchell and her son. In early 1927, after living together for nearly five years, Mitchell asked Williams to move out. Williams moved a few miles away, to a boarding house on 10th Street, near the waterfront in San Pedro. 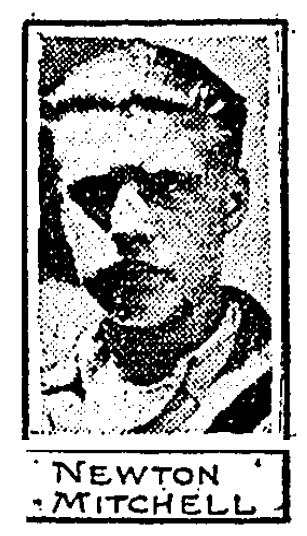 On the morning of Monday, March 21, Williams returned home from Philadelphia on the oil tanker Cities Service Petrol. That afternoon, he went to Mitchell’s house and asked her to take him back, but she refused, and Williams left. After reportedly spending much of the evening drinking, Williams returned to Mitchell’s house just before dawn the next morning, and told Mitchell he was “out for revenge.” When Williams started attacking Mitchell, her son, Newton, 13, called police. Williams then turned his attention to the boy, and started beating him. Newton was able to retrieve a handgun in the house, and attempted to use it to get Williams to stop beating his mother, but Williams was able to take the gun away from him, and used it to pistol-whip Mitchell. At about that time, Officer John Volberg Wicks, the night desk officer at the Wilmington division police station, arrived at Mitchell’s house, and entered through a window. Williams ordered Wicks to leave, but Wicks refused, so Williams shot him twice in the abdomen. Though wounded, Wicks was able to return fire, and killed Williams. Wicks was taken to White Memorial Hospital in East Los Angeles, where he was initially listed in serious condition, but was expected to survive. The following day, a police surgeon operated on Wicks, and discovered that one of the bullets had pieced his lung. Wicks died on Wednesday, March 23 -- just four days before his 29th birthday. Wicks was born in Norway on March 27, 1898. He came to the United States and was living in Washington when he enlisted U.S. Naval Reserve Force shortly before the end of World War I. He served as an Aviation Carpenter’s Mate before he was discharged in 1919. Wicks then moved to San Pedro and worked as a salesman before joining the LAPD in 1924. He left a widow, Arline, 23. After her husband's death, Arline Wicks received $1,000 from the Police Relief Association. 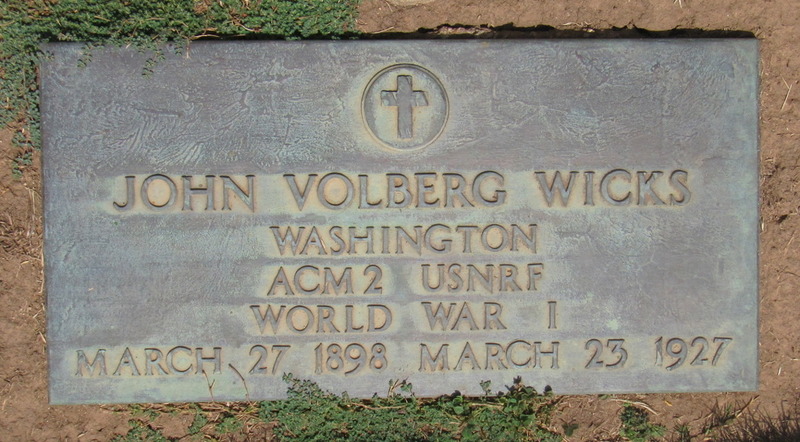 Wicks was buried in Inglewood Park Cemetery, but his grave remained unmarked for more than 20 years, until a relative filed a request for a military marker in 1950. Wicks's sign is located on the west side of South Figueroa Street at Emden Street, just east of the 110 Freeway.